Greetings! 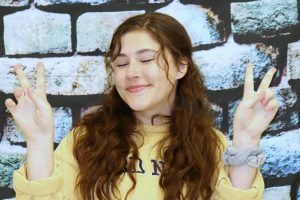 I’m Abby Tow and I’m so excited to be your co-managing editor for The Wigwam this year! I’m a poet and aspiring journalist, dog lover with a dog allergy, Alfredo pizza enthusiast, and Brass Captain in the Keller Marching Band. Catch me at your local Sonic spending all my money on Dr. Pepper and driving terribly all over Keller. I write about almost everything, from Girl Punk album reviews to what’s happening at Keller High School. I’m passionate about the freedom of the presses, and I’m here to represent Nasty Women everywhere. Remember: stay angry, stay loud!